Now available. 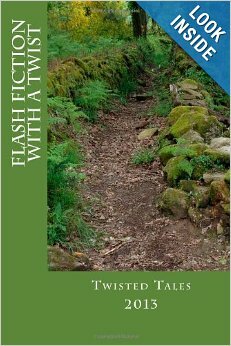 It’s a collection of Flash Fiction all with a little twist. A great read. Only the best got in — so I am very proud to be here for the second year in a row. BUY IT! Last week I was once more in PostcardsPoems&Prose with Fired Up but please do feel free to browse the rest of these and the site in general. Gaia’s Great Flood Thanks to Colin Will for having me. Today the lovely Amanda Baker is coming to see me and have lunch. I am looking forward to a nice chat. It’s been ages! Saint Patrick’s Day is over and gone. We are approaching the Vernal Equinox. Daffodils have opened and I have had my gall bladder operation and I feel better than I have in months, possibly over a year! I didn’t realise how ill I had become! In short I am counting my post operative blessings.